Nursing lecturer Beverley Ramdeen offers advice on preparing for success, and where to turn if your placement does not go as expected. Your first clinical placement as a nursing student will be an exciting experience, but it may also be somewhat overwhelming. 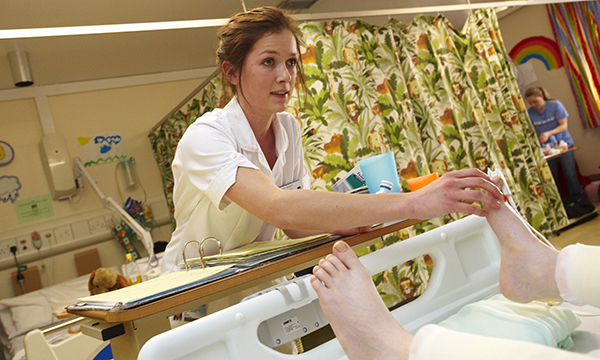 Roughly 50% of your time on a nursing degree course will be spent in a university, learning the theory you will put into practice, and the rest will be spent in the clinical environment. This could be in a community setting, an outpatient clinic, a hospital ward or a rehabilitation unit, to name a few. It is natural to feel anxious about starting your first placement, but remember you have been preparing for this through theoretical and simulation sessions at university, so there is no need to panic. The most important thing is to be prepared. You should contact your placement about two weeks before you start, to find out the times of your shifts and when you will be off duty, and plan your journey well in advance so you are not late on your first day. Even if you are well prepared, you may still find that the placement is not what you expected. For example, the clinical area may be busy and you may feel you are not getting the level of supervision you need on a first placement. Similarly, you may not be prepared for the input needed to provide personal care, take baseline observations or care for an acutely ill patient. If this is the case, don’t panic. You have recognised there is an issue and now you need to ask for help. This could be from your practice mentor, ward sister or link lecturer. Another key source of assistance is your personal tutor, who will be able to support you and direct you to services that can help, such as counselling or academic support at the university, which are free and confidential. If your placement experience does not go as planned, use it as part of your reflective writing. This will help you to work out what you could have done differently, if anything, and help you prepare for your next placement. But above all, enjoy the experience, and remember you are working as part of a team, and your fellow team members are there to help you make your clinical placement a success. Orientate yourself to the environment. Have your assessment document with you at all times. Have an idea of what you want to achieve and be realistic. You have a year to master all the essential skills. Carry a small notebook to jot things down, but do not use any identifiable patient information. Try to connect the theory to the practice. Only carry out a task if you feel comfortable to do so. You should be working under direct supervision of a mentor, so speak up if you are unhappy. Do not be afraid to ask for clarification, or help if you are feeling overwhelmed.